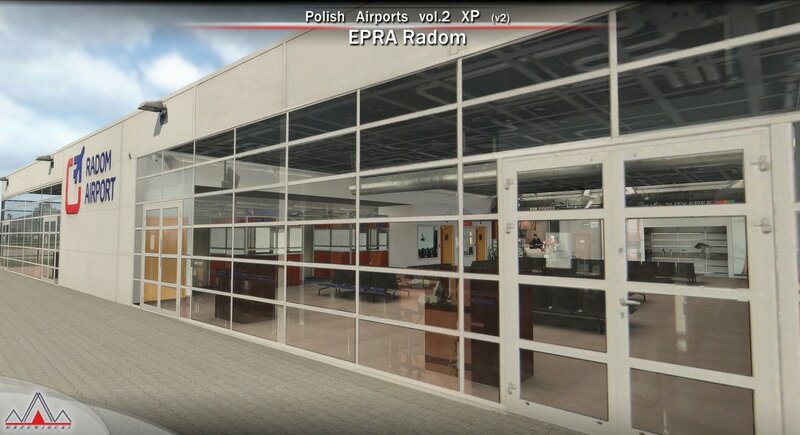 Radom Airport (IATA: RDO, ICAO: EPRA), also known as Radom-Sadków Airport is a civil and military airport in central Poland, located approximately 3 km (1.9 mi) east of Radom city center. It has been in operation since the 1920s. There is one 2000x45m (6562x148 ft) runway. The airport has acquired the former Terminal 2 building of Lódz Airport together with all its equipment. In 2015 the first commercial passenger service started. Szczecin-Goleniów "Solidarnosc" (Polish: Port Lotniczy Szczecin-Goleniów im. 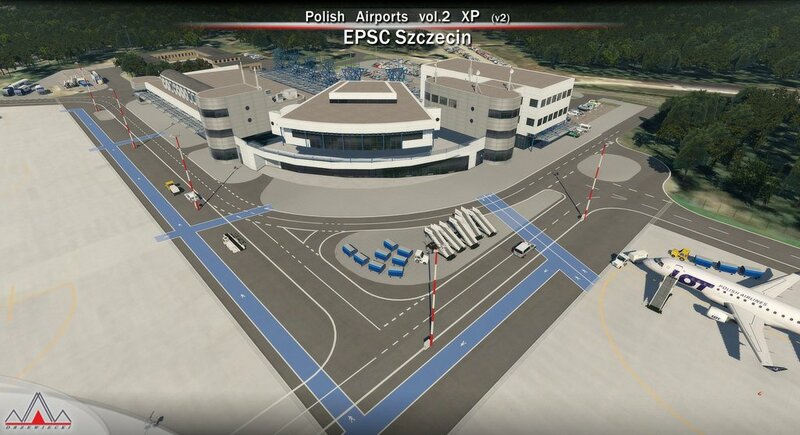 NSZZ "Solidarnosc") (IATA: SZZ, ICAO: EPSC) is the main domestic and international airport serving the city of Szczecin in Poland and is located 45 km (28 mi) northeast of the city, near the town of Goleniów. The airport was constructed between 1953-56 at the height of the Cold War. Works to improve the runway and the main apron were undertaken in 1998. The airport's electricity supply together with the runway and approach lighting was upgraded in 1999. A new passenger terminal was opened in 2001. The terminal expansion concluded in April 2006 and prepared the airport to serve 1 million passengers per year. At that time the airport was renamed for the "Solidarno?sc" trade union. Main destinations from EPSC airport reach Warsaw, Hamburg, Oslo, Dublin and London-Stansted. Lódz Wladyslaw Reymont (IATA: LCJ, ICAO: EPLL), formerly known as Lódz-Lublinek Airport, is a regional airport in central Poland, located approximately 6 km (3.7 mi) southwest of the Lódz city center. It has recently been named after the celebrated 20th century Polish writer and the winner of the 1924 Nobel Prize in Literature, Wladyslaw Reymont. The Lódz airport opened in 1925. Since 1927 regular connections to Poznan, Warsaw, Lvov and Vilnius were established. In 2005 a new passenger terminal (capacity approx. about 300,000/year) was opened and the first Boeing 737 in the history of the Lódz Airport landed. Despite Lódz being Poland's third largest city, it has one of the smallest international airports in the country. Gdansk, Poznan, Rzeszów and Wroclaw are all examples which have larger airports, but smaller cities. Zielona Góra-Babimost (Polish: Port Lotniczy Zielona Góra-Babimost) (IATA: IEG, ICAO: EPZG) is a regional airport located within the greater Zielona Góra agglomeration. The airport is the 11th busiest in Poland, or last among currently functioning with scheduled traffic. The airport is situated near the town of Babimost, 95 km (59 mi) west of Poznan and 170 km (110 mi) from the center of Berlin. 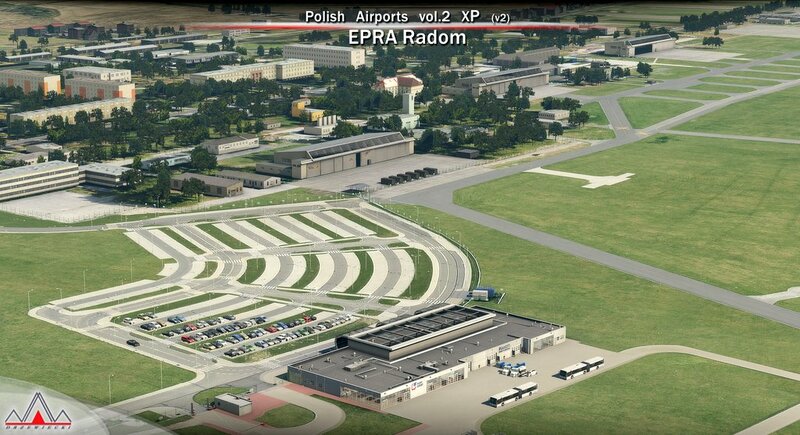 The post-military airport ranks second in Poland in terms of its infrastructure surface, such as taxiways and aprons, and has a good quality concrete runway. There's a medium-sized passenger terminal. The airport can handle up to 10 B737s on its taxiways and aprons.